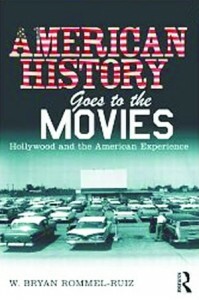 Using films from many different genres, the book draws together movies that depict the Civil War, the Wild West, the assassination of JFK, and the events of 9/11 to show how viewers use movies to make sense of the past. Rommel-Ruiz addresses how we render history for popular enjoyment and how Hollywood’s depictions of America influence the way we see ourselves and make sense of the world. ISBN-13: 978-0415802208. Published by Routledge, 2010.